Are You an ASLE Member? If you are an member and want to access and read ISLE online, just go to our member login page. Once you login, you will see the link to ISLE journal online. If you’re not already a member, join us today! 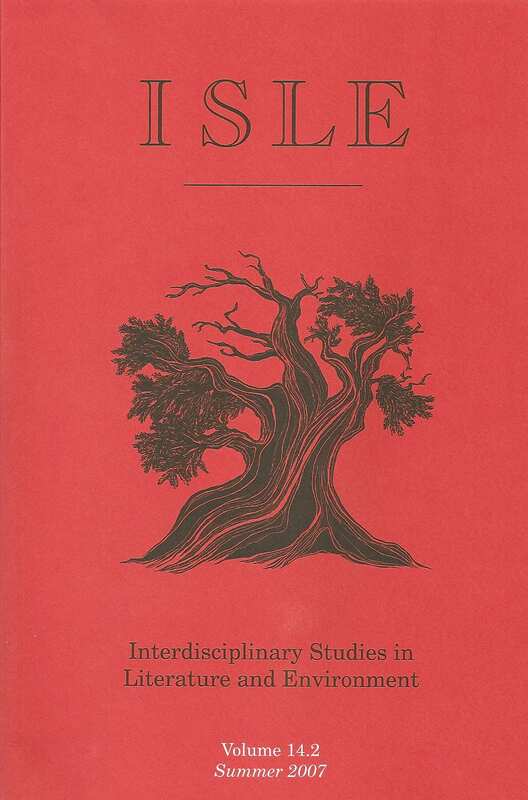 ISLE: Interdisciplinary Studies in Literature and Environment is the official journal of the Association for the Study of Literature and Environment. It became a quarterly journal in 2009, published in conjunction with Oxford University Press. ISLE seeks to explore the relation between human beings and the natural world, and publishes articles from literary scholars, environmental historians, specialists in the visual and performing arts, environmental philosophers, geographers, economists, ecologists, and scholars in other fields relevant to “literature and environment.” The journal also publishes poetry, fiction, and literary nonfiction pertinent to its thematic focus. ISLE has appointed new Associate Editors in 2018: we welcome Tina Gerhardt and Jen Westerman to the editorial team. Read more about them in this ASLE News article. ISLE has appointed a new Book Review Editorial team: Lisa Ottum will serve as Associate Book Review Editor and become BRE once her training is complete. Ted Geier, Ashley Reis, and Matthew Hooley will serve as Assistant BREs. We thank Tom Hillard for his long service to ISLE as BRE! Click to read free Editor’s Choice selections from current and past issues. Individuals must be a member of ASLE to receive a subscription to the journal and gain online access. Click here to join ASLE. ASLE members can read current and archived issues of ISLE online by logging in to the Member Community and going to the ISLE Journal tab. Libraries, institutions and organizations can subscribe to the journal by visiting the ISLE Website and consulting their Subscription Information.